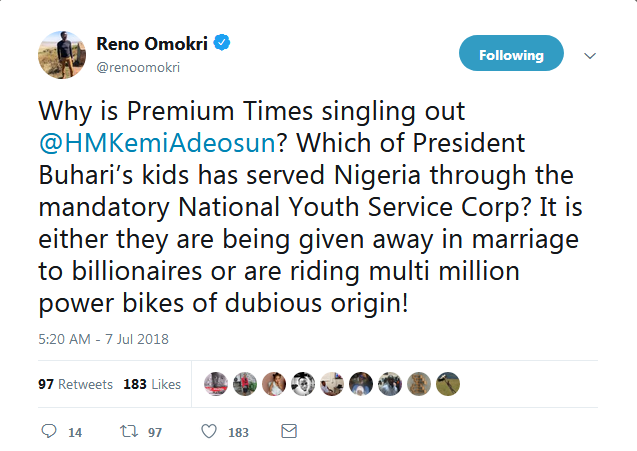 Following the revelation that Nigeria’s current Finance Minister may have failed to serve in the mandatory one-year Youth Service Scheme and may have also forged an exemption certificate, Reno Omokri has asked if Buhari’s own children have served in the scheme. Tweeting on the issue, he attacked the Buhari administration’s attitude to the Youth Service scheme, asking among other things if the scheme was just for the masses. He raised the issue of the recently killed Youth Corp member, Ikechi Igwetu. 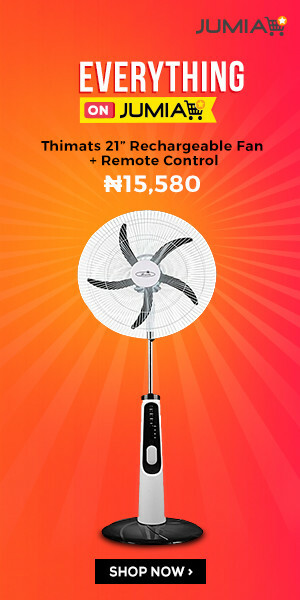 In his tweets he said “Why is Premium Times singling out @HMKemiAdeosun? 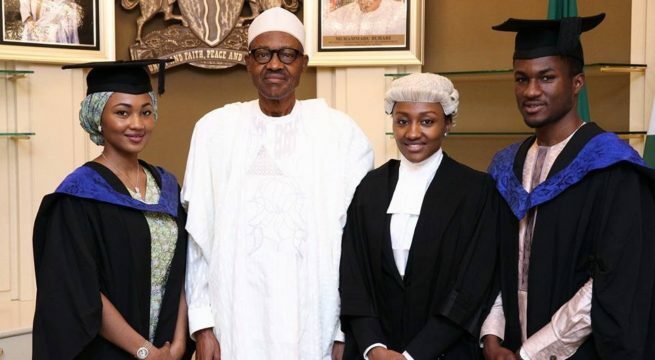 Which of President Buhari’s kids has served Nigeria through the mandatory National Youth Service Corp? It is either they are being given away in marriage to billionaires or are riding multi million power bikes of dubious origin! “Why focus only on @HMKemiAdeosun alone? Did Zahra Buhari do her mandatory NYSC before being married off? 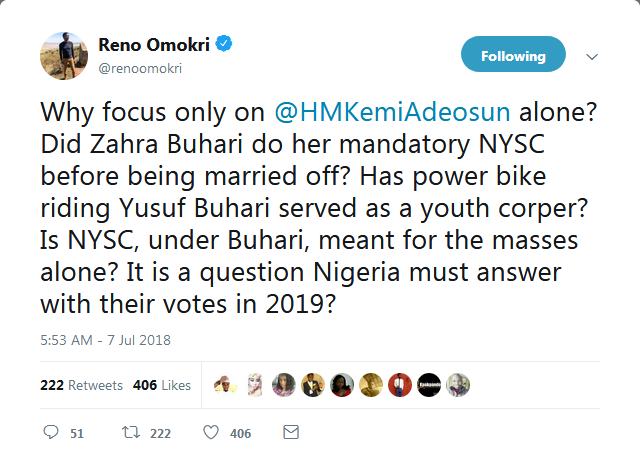 Has power bike riding Yusuf Buhari served as a youth corper? 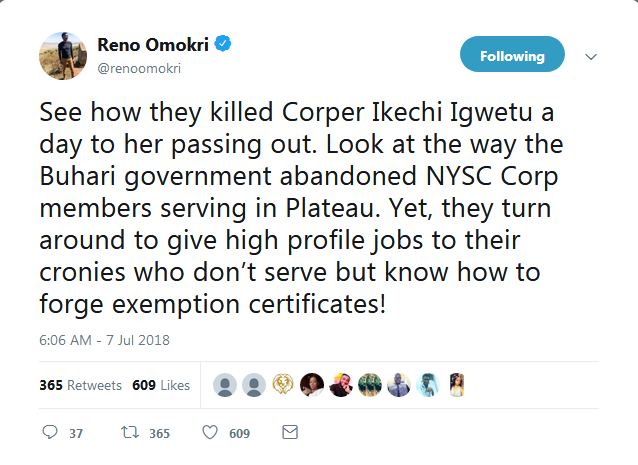 Is NYSC, under Buhari, meant for the masses alone? It is a question Nigeria must answer with their votes in 2019? “Why focus only on @HMKemiAdeosun alone? Did Zahra Buhari do her mandatory NYSC before being married off? I don’t think, he knows the full meaning of corruption in person.. They just want to rubish that lady, maybe she is not lying with them.